Be it a cold, a hangover, or simply a hankering for quality Korean food in central Tokyo, this 24-hour Akasaka cornerstone is the go-to spot for locals and visitors alike. Surrounded by a slew of government buildings, embassies, as well as major temples and shrines, Ichiryu is the brainchild of Han Youngja. 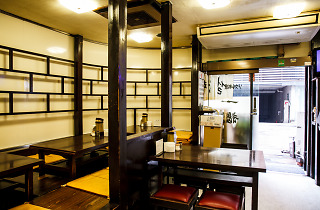 Long before Shin-Okubo became Koreatown, Han, then a lowly staff member at the South Korean embassy, was called on to prepare home-cooked meals for a visiting contingent of diplomats and officials – an experience that prompted her to officially open the first Korean restaurant in Akasaka. At 84 years young, she still helms the kitchen while dashing out to chat with regulars who affectionately know her as ‘Mama’. The main restaurant – located on the fifth floor – has been around for 54 years and offers a wide variety of dishes. 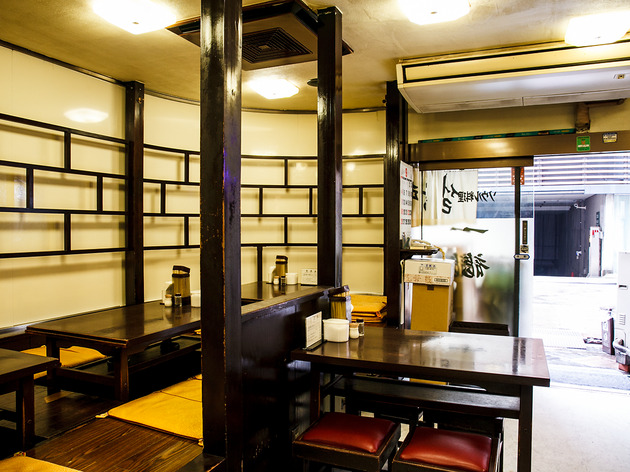 However, the slightly newer ground-floor annex (bekkan) specialises in a single entree — seolleongtang (ox tail soup) with delectably tender bites of meat submerged in a milky broth made by simmering ox bones for a seemingly infinite number of hours. Topped off with green onions for a playful kick, it’s a dish for all occasions and perfect both for slurping up solo or sharing with friends. The soup’s base flavour is fairly mild, so to truly bring out the dish’s full effect, don’t forget to throw in a dash of salt and pepper. A spread of 11 types of banchan (small Korean side dishes) and a bowl of rice accompany the main soup, making for a flavourful journey that ranges from hearty blocks of daikon kimchi that crisply balance sour and spicy to deceptively plain-looking potatoes bursting with several layers of sweetness. The set goes for ¥1,620, while soft drinks start at ¥420 and the harder stuff at ¥530.